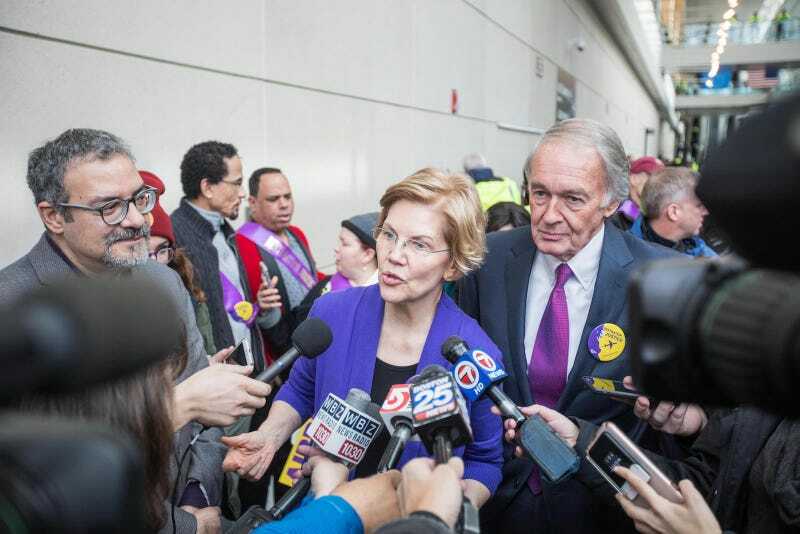 After refusing to admit any wrongdoing for months, Massachusetts Sen. and rumored 2020 presidential candidate Elizabeth Warren has quietly apologized to the Cherokee Nation for claiming native ancestry via a DNA test last fall. On the campaign trail, she has noted repeatedly that she does not claim citizenship in any tribe nor was she trying to. But she’s quietly since gone a step further. Warren has been in touch with Cherokee Nation leadership, apologizing for furthering confusion over issues of tribal sovereignty and citizenship and for any harm her announcement caused, two sources with knowledge of her overture said. The Warren campaign declined to comment. In October, Warren took Donald Trump’s bait, responding to his repeated “Pocahontas” jabs by releasing a nearly six-minute video about DNA test that found mostly European ancestry with a trace of indigenous DNA “in the range of 6-10 generations ago.” From this, she claimed Native American heritage, and interviews with relatives and former professors, described how this ancestry impacted her family and career. As Dr. Kim TallBear, an Associate Professor on the Faculty of Native Studies at University of Alberta and member of the Sisseton-Wahpeton Oyate tribe, told Jezebel, DNA tests cannot prove Native American ancestry “because it’s not ancestry alone that constitutes what it is to be a tribal member or even a Native American more broadly, at least from the point of view of Native Americans.” Warren’s claim perpetuated stereotypes about Native Americans and further erased their experiences. “The widely publicized DNA test debacle created confusion about tribal citizenship, Native identity and race that directly harmed Native rights. Warren has a duty to clear up the confusion she caused. That can only be done through a public, clear, and transparent statement,” she wrote.